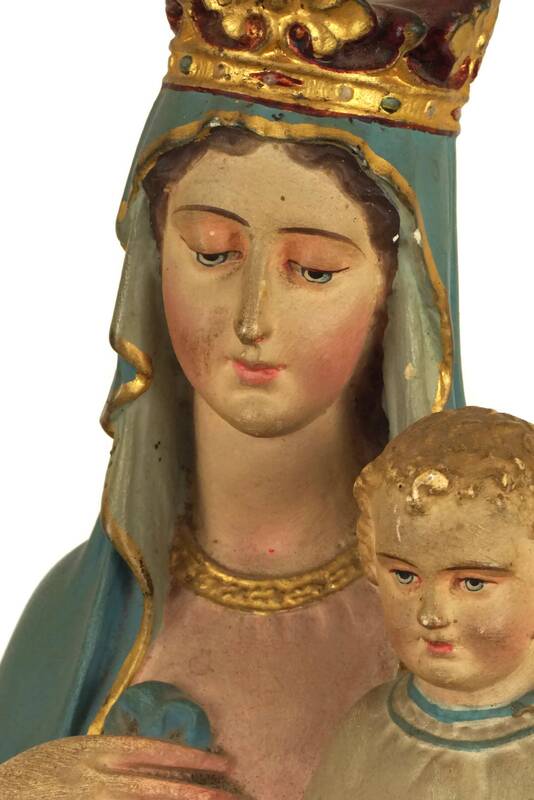 A beautiful antique French Madonna and Child statue dating from the 1800's. The large figurine has been cast cast from plaster and charmingly hand painted with great attention to detail. 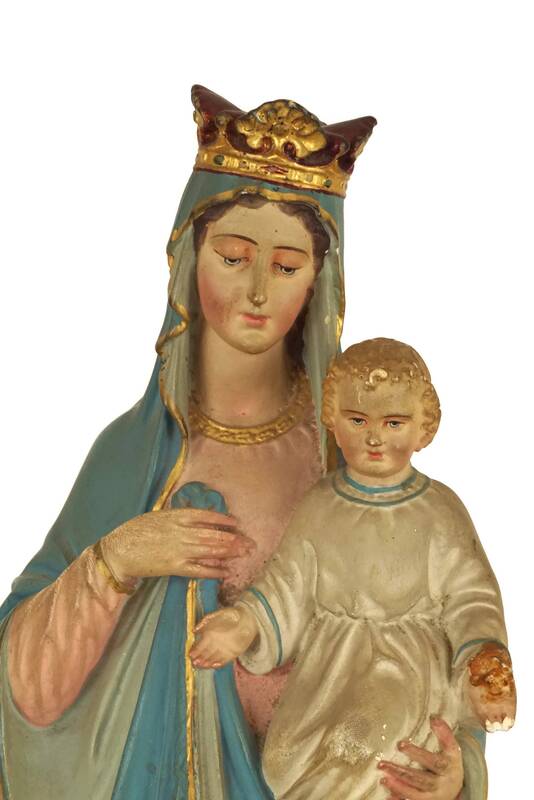 It once adorned a small chapel in a Catholic school in Provence and features the figures of Mary and the Infant Jesus. 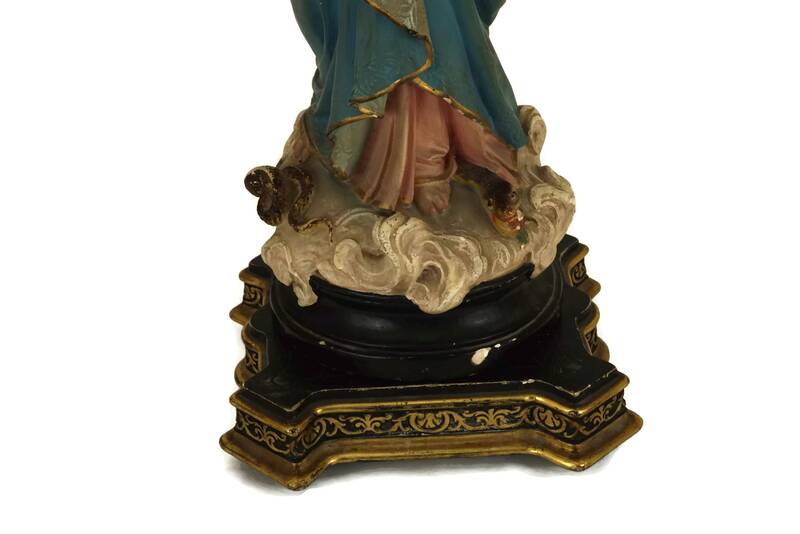 The base of the statue features the name of the Pieraccini studios who were famous in France for their production of religious statues and figures. The figure rests on an ornate wood and plaster stand that has been decorated in black and gold-tone. (43 cm x 16 cm). 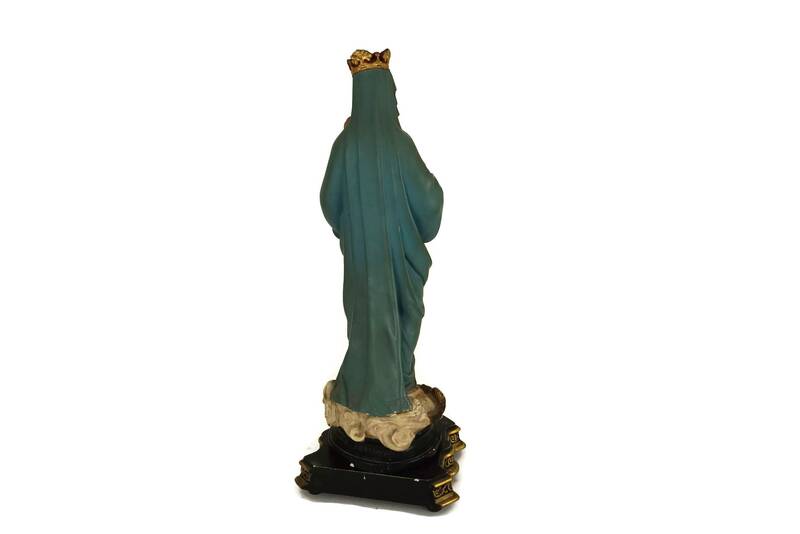 (5 cm x 16,5 cm x 15 cm). 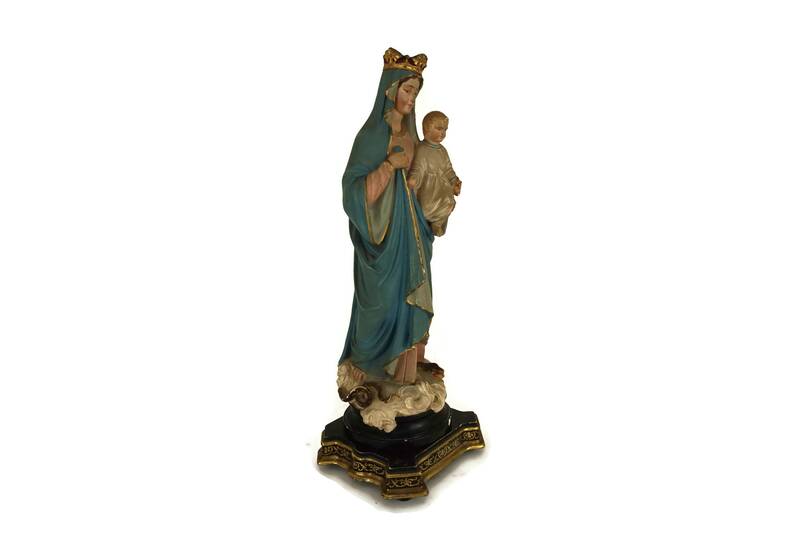 The statue of the Madonna and Child is in good antique condition. 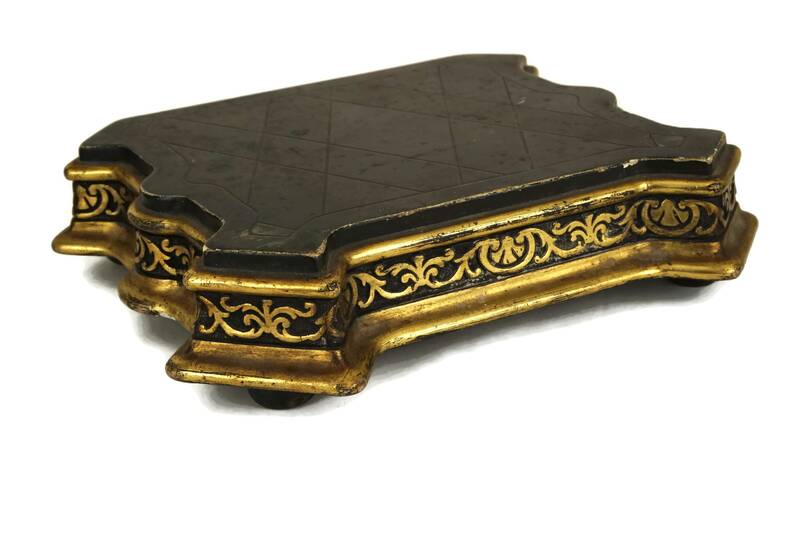 As is to be expected with antique chalkware, there are small flakes and chips to the plaster and paint in places. 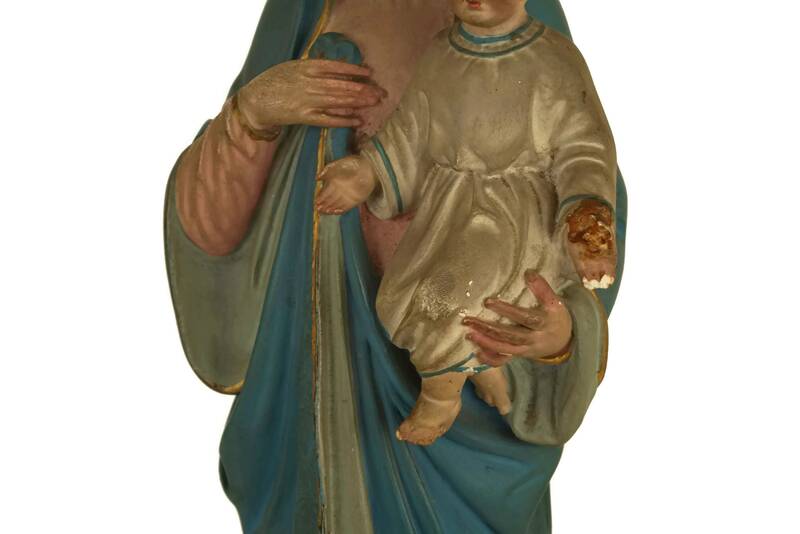 The fingers and thumb on the left of Jesus of been broken off. 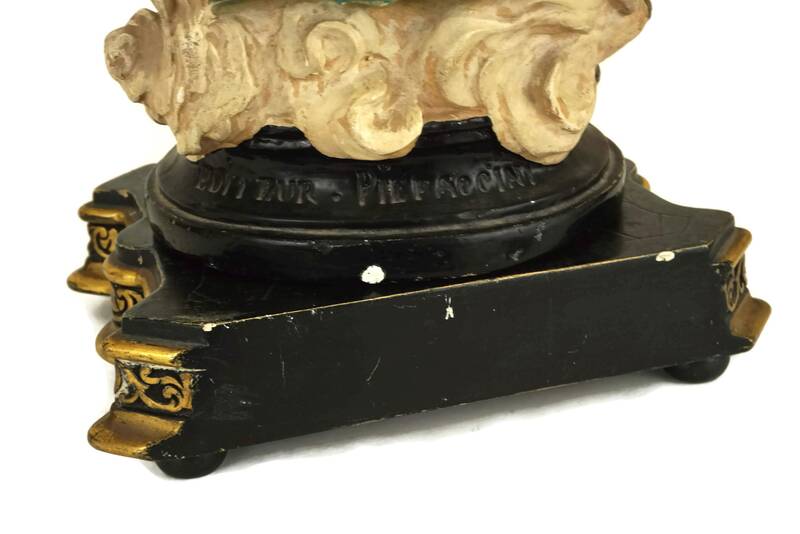 The wooden pedestal base is in very good condition with some light signs of age and wear.